Layout Archives - Page 5 of 65 - Pebbles, Inc.
Hello everyone and welcome to our blog! 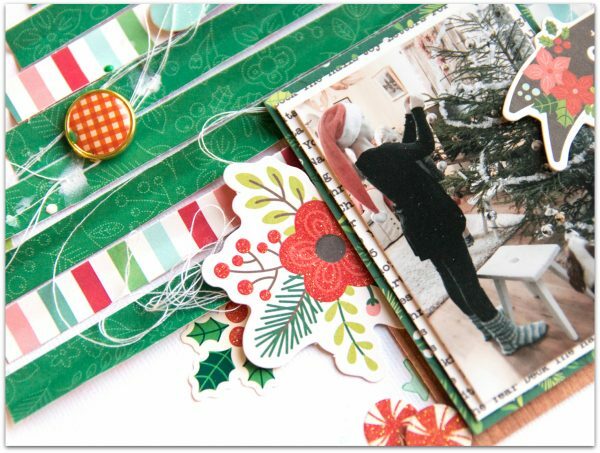 It’s Eva on the blog today a tutorial on how to create a colorful edge for your next scrapbook layout. Here in Chile, we celebrate Christmas during the summer, we receive bikes and all sorts of summer toys! My husband is from Italy and he misses the snow and cold days, he says it doesn’t feel like Christmas because it is hot and sunny! 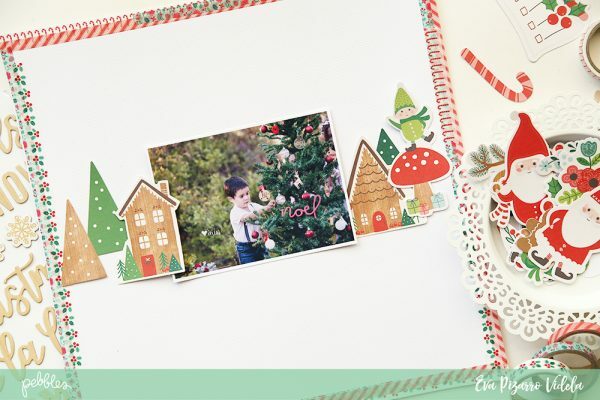 For this layout, I decided to scrapbook a picture of my little boy while he decorated the tree. I can’t believe how much he has grown in a year! 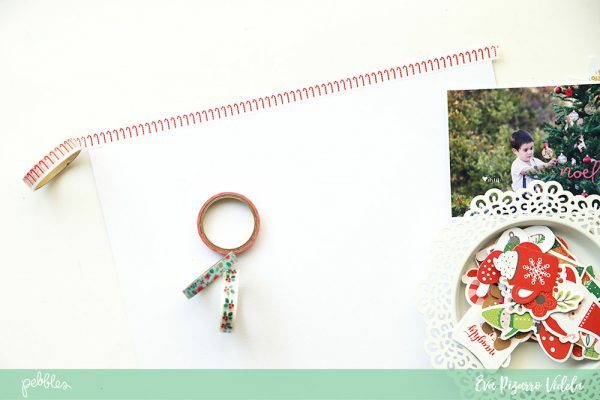 To create the colorful edge I used washi tape. I love how simple this is and it really helps your layout to stand out! Simply put different lengths of washi tape over the edge and wrap the edges at the end of the page. Use different patterns and put one on top of the other to get a cool look! Once my edge was complete, I used the ephemera to create a ” Christmas village” around my photo. Tip: Use 3d dots to give some dimension to a few elements. Next, I used my Magnetic Mat to create perfectly aligned lines for my journaling. I love these Wood Thickers! 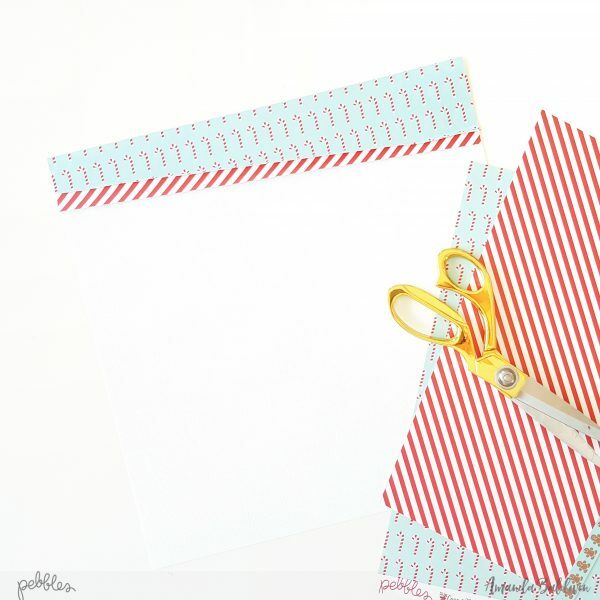 they are perfect to create titles and add a handwritten element to your page! The designs of this collection are colorful and fun. The elves add a playful element and the wood pattern is lovely don’t you think? 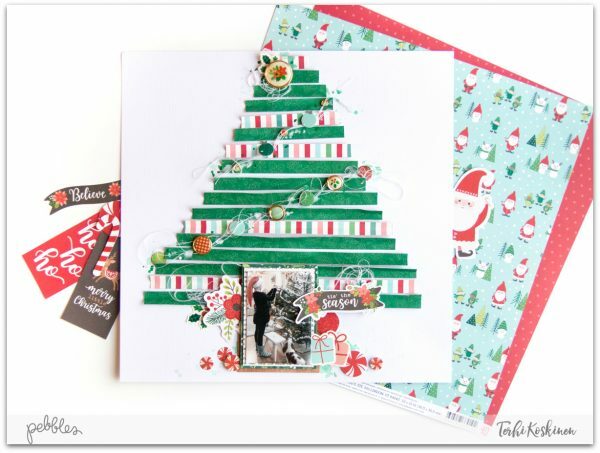 The snowflakes are also one of my favorites, I love chipboard elements! And here’s my final page! the colorful edge gives the layout a nice touch and I didn’t use any patterned paper! 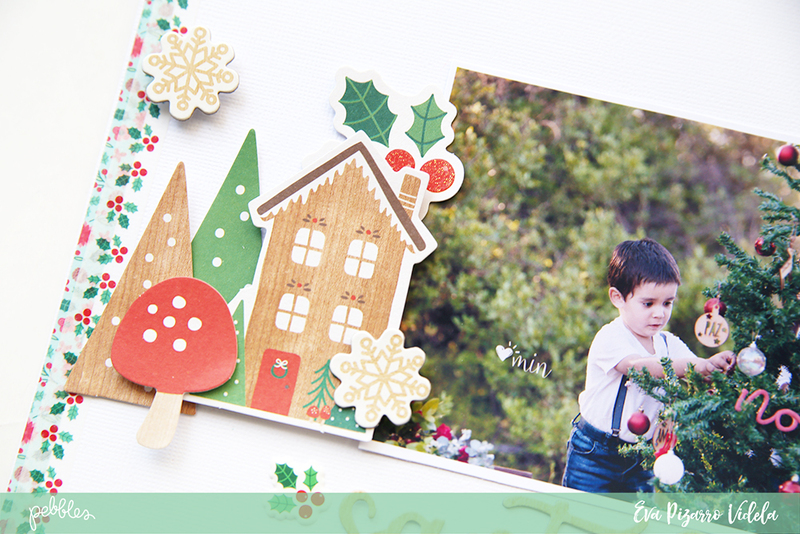 I love simple layouts, there’s no excuse for not saving the lovely memories during this busy holiday season. 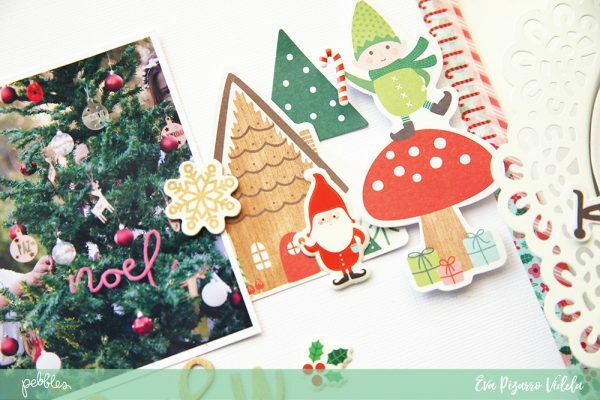 Documenting the Festive Season with Cozy & Bright! Welcome back for more Christmas inspiration! Amanda here, & this week’s theme post is all about documenting a Christmas Tradition in your ‘home’ country. For those of you who don’t know, I’m an Aussie girl and spend most of my days at the beach! And Christmas is no exception! But before we get to the big day, we have quite a few traditions that we like to participate in. The festive season doesn’t officially start for us until the Christmas Pageant (think Christmas Parade ) has occurred. So, for today’s post, I am documenting my children participating in the Christmas Pageant. Yay! Isn’t this the sweetest?! Such a bright, happy & adorable page! So.much.fun! Best part? It’s super simple and easy to recreate – here’s how…. 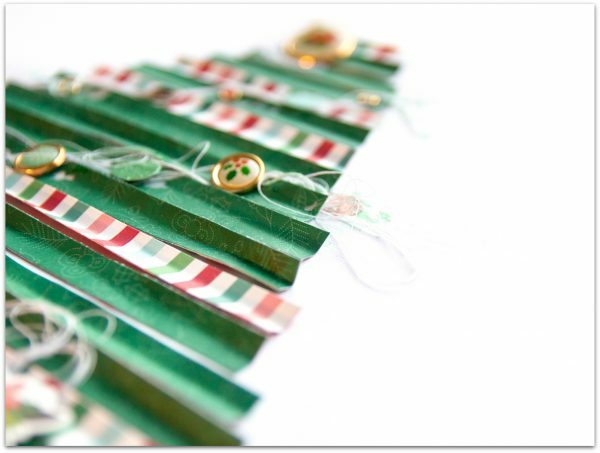 Start by trimming the reverse side of pattern paper Tis The Season (candy cane stripes) on an angle. I made my paper strip 3″ at the widest end and 2″ at the shortest point. 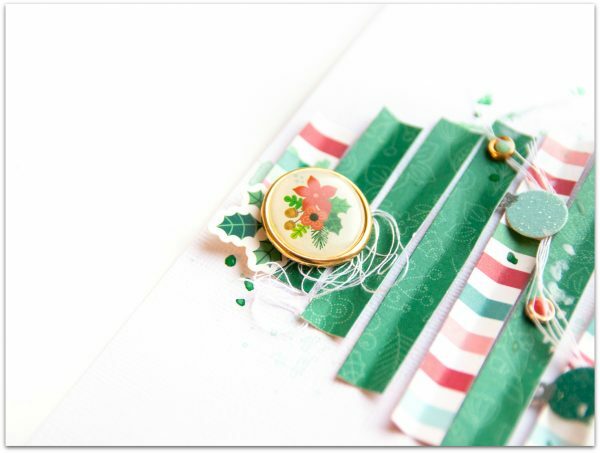 Attach to the top of the white cardstock background. 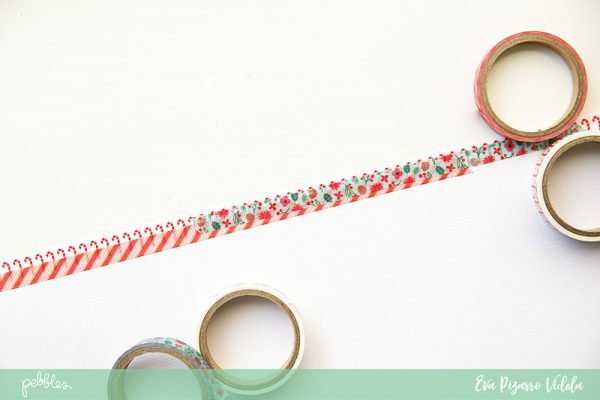 Repeat this process, but this time use the candy canes pattern of Tis The Season, and reduce all measurements by one inch. 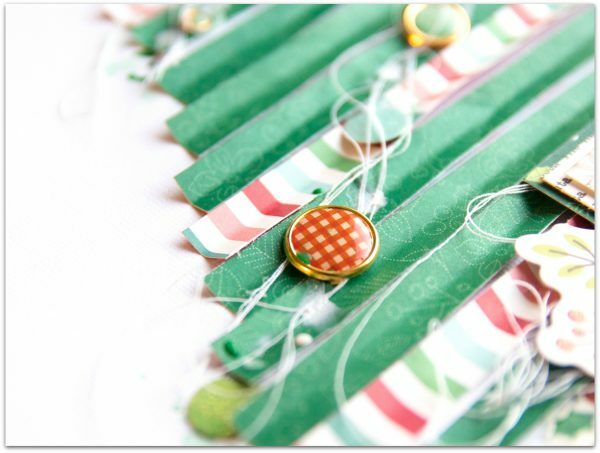 Layer over the top of the stripes paper & glue into place (as shown above). Take your square photograph, and tuck a Cozy & Bright Tag beneath it. Add a a few layers of torn white tissue wrap to the back of the tag. This torn paper adds both dimension and interest to the photo cluster. Foam mount the photo cluster onto the top right hand side of the layout, & embellish with a few Die Cuts. 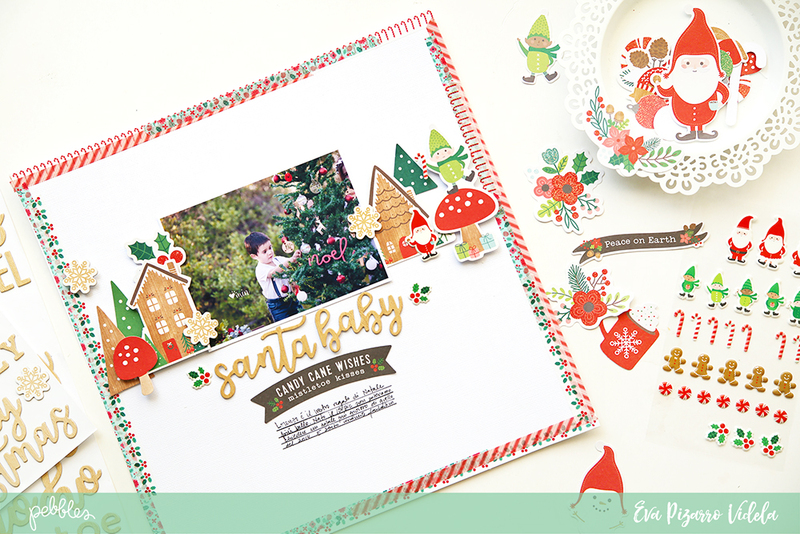 I just adore that cookies n cocoa Santa – so super cute! 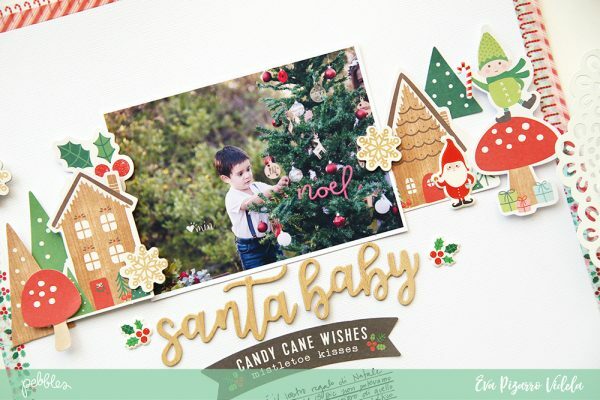 Embellish with more Die Cuts, as well as some fabulous 6″ x 12 ” Accent Stickers. 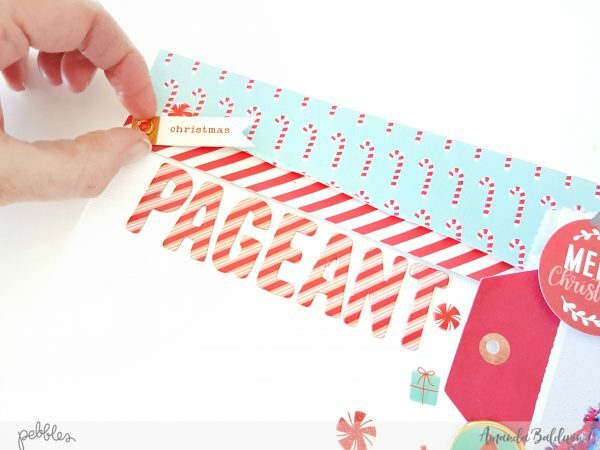 Add a 1/2″ trim of pattern paper, Tis The Season (reverse side) to the very base of the page. Embellish with those amazing Decorative Brads. Add some Puffy Stickers – they make everything look awesome! Create your title (& xo subtitles) with the Cozy & Bright Maggie Thickers. So cool! Love these amazing candy cane print alphas! Build on your title work with a Decorative Brad! 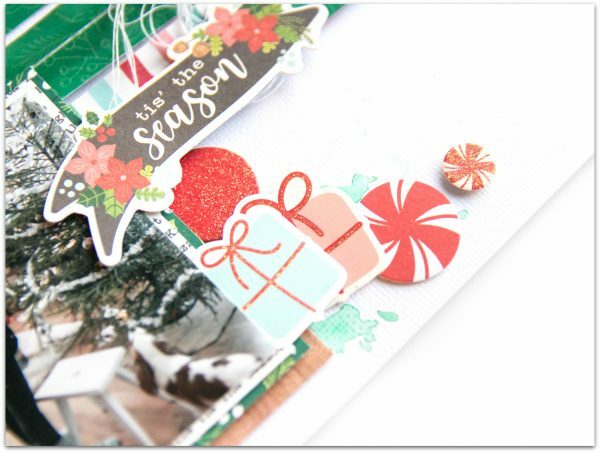 Continue to embellish with stickers, brads and die cuts until your happy! And Voila! 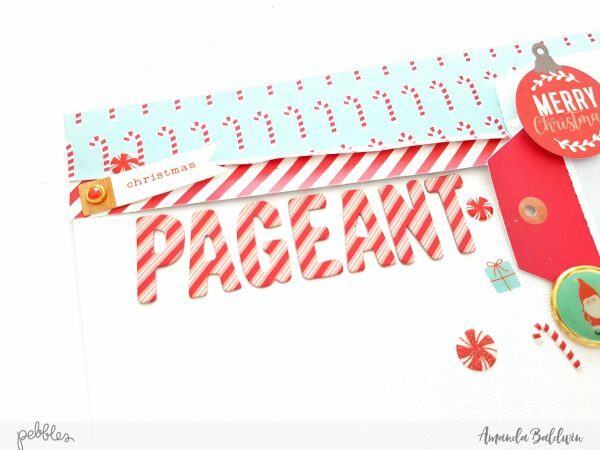 An adorable page that is oh-so easy to create! And there you have it! 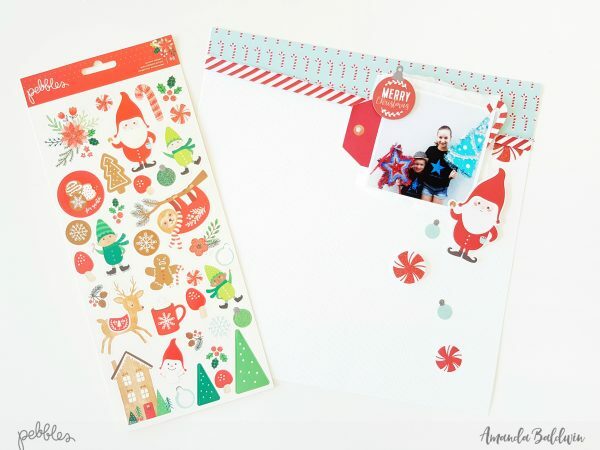 Cozy & Bright – perfect for documenting the Festive Season! I hope I’ve inspired you to get creating with this amazing new line! 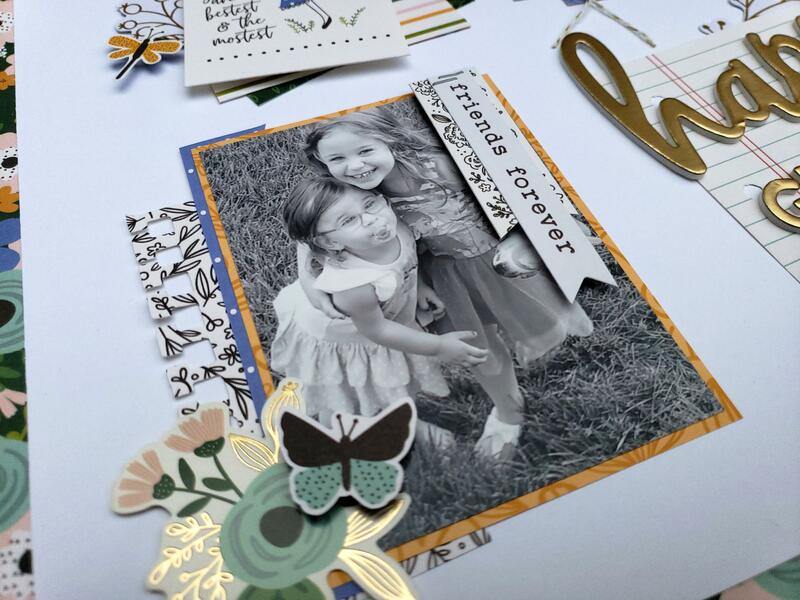 Life with the along the way collection from Guest Designer, Laurie! Hello Pebbles Friends and Fans, my name is Laurie! 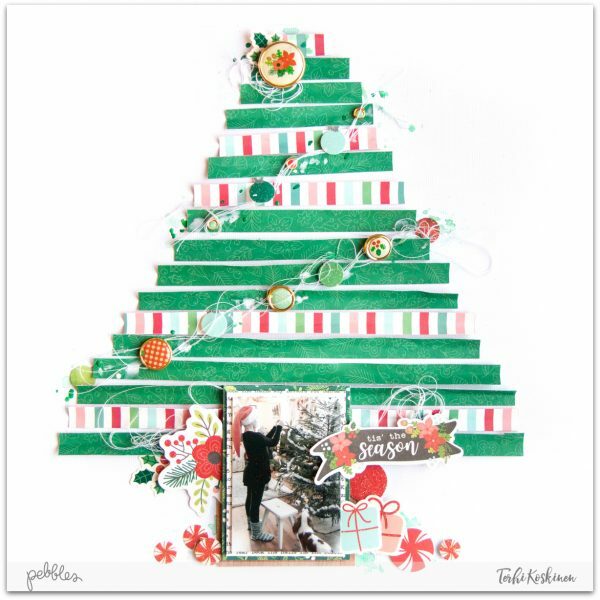 I am so very happy to be a guest designer for Pebbles in the month of November. 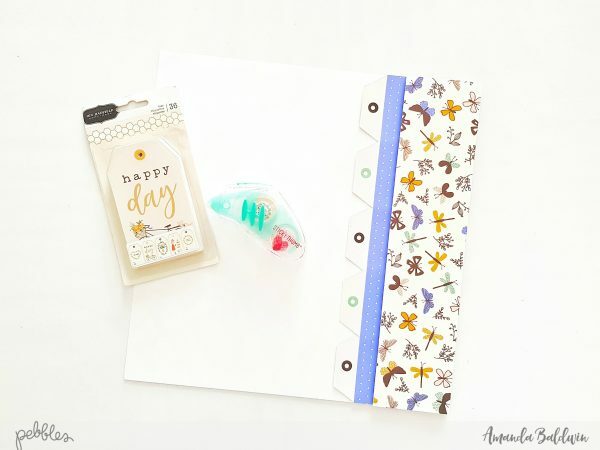 I was given the opportunity to work with the Along the Way collection by Jen Hadfield and I was so excited to open this beautiful box of goodies! I love the color tones of Jen’s collections and could not wait to dig in and start layering all of the beautiful pieces! For my first project, I created a traditional 12×12 scrapbook layout. One of my favorite things about Jen’s collections is that they are family-oriented. I’d been waiting on the perfect collection to document some pictures of my girls and this is the collection! 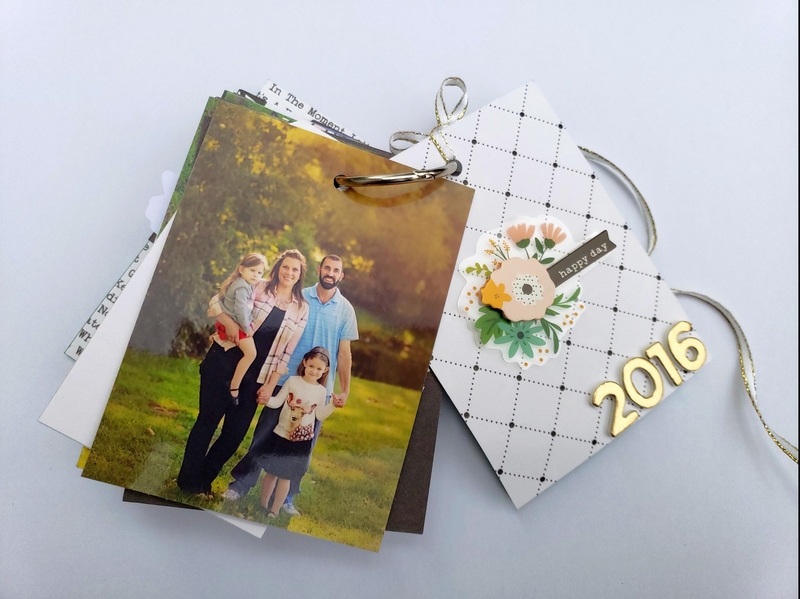 I chose to use a grid design for this page so that I could showcase all of the beautiful embellishments and gorgeous prints. I used 3×4 photos and added some simple layers behind them as well as a simple cluster along with the title. The “happy” in the title is from the phrase Thickers and the girls are using the alpha included in this collection. I love the gold foil. It is a bit muted and the perfect hue. For the notebook paper layer, I cut a piece of one of the papers into a 3×4 card. I then punched three holes down the left edge so that it looks like a tiny piece of notebook paper. It is so cute! For the other embellishment cluster, I used one of the cut-apart tags and layered a couple of patterned papers underneath. I also used two of the gold-foiled floral pieces from the ephemera pack. Finally, I fussy cut some of the butterflies and dragonflies from patterned paper and used them on foam dots to give a little dimension. 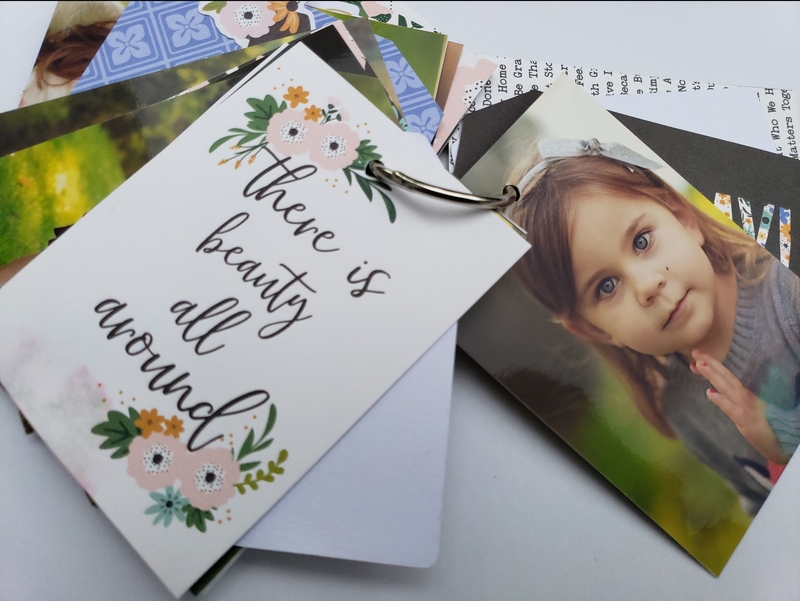 I printed my photos in black and white to allow the colors of this collection to stand alone – they really are gorgeous! I couldn’t stop at one project…so here is one more! After all, when I saw this collection I knew I also had to use it to document our family photos from a couple of years ago. I created a simple one ring mini album, using the 3×4 cut apart cards and the tag pack as my base. I printed all of my photos as 3″x4″ and then arranged them so that I had one picture and one title card for each “page”. 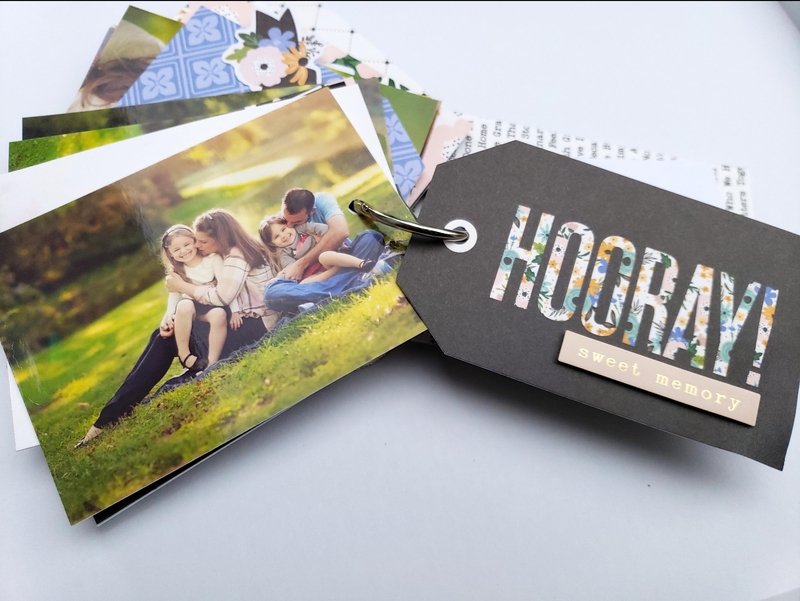 This collection made this mini album so easy to create! The colors and the prints are just stunning and the pieces fit my theme so well. 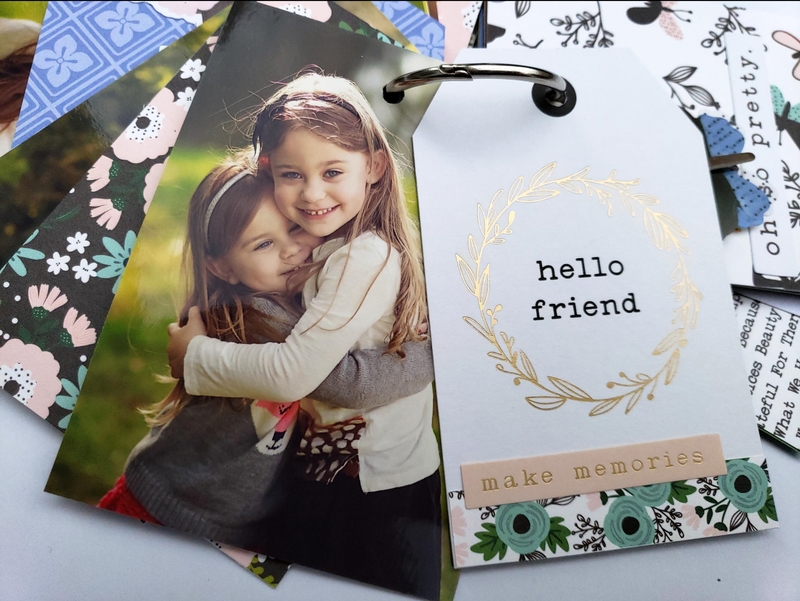 This hello friend tag had a “to” and “from” section at the bottom…so I just covered it up using a branding strip and one of the pink word stickers from the collection. I thought this tag would be sweet to go opposite from the picture of my girls. They are besties! I also loved the “I feel pretty. oh so pretty” parts of this collection; they were perfect to document the solo photos of the girls! Thank you for spending some time with Pebbles and I today! The Along the Way collection was an absolute joy to work with! 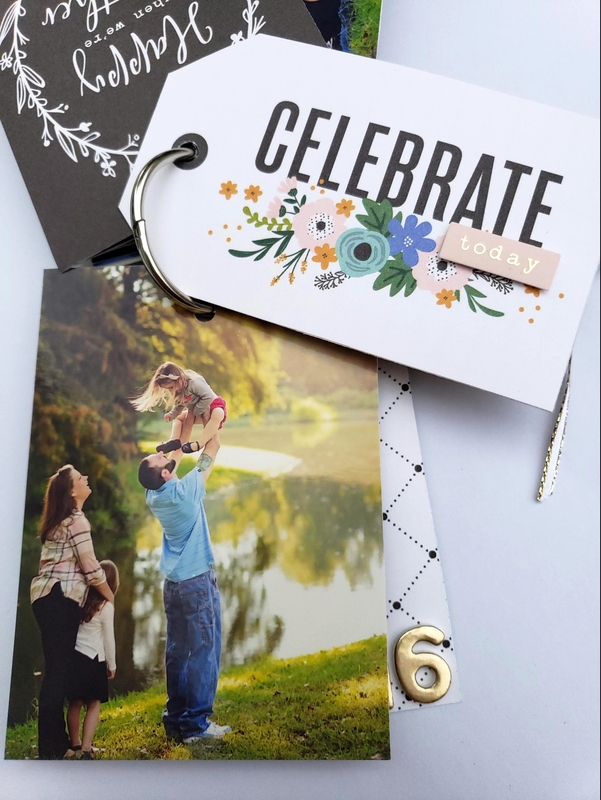 Happy Day Layout With Amanda & Along The Way! 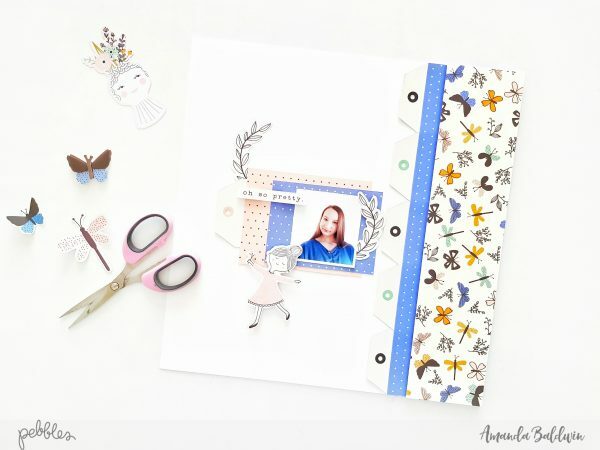 Amanda here, & today I am sharing a really beautiful layout with our adorable Along The Way collection. With so many pretty patterns and such a delightful color scheme, it’s an absolute joy to memory keep with! And this lovely layout is both effective and super easy to recreate at home! But enough chatter, here’s my lovely page…. Oh so pretty, indeed! Clean, & contemporary design with a soft, feminine twist! 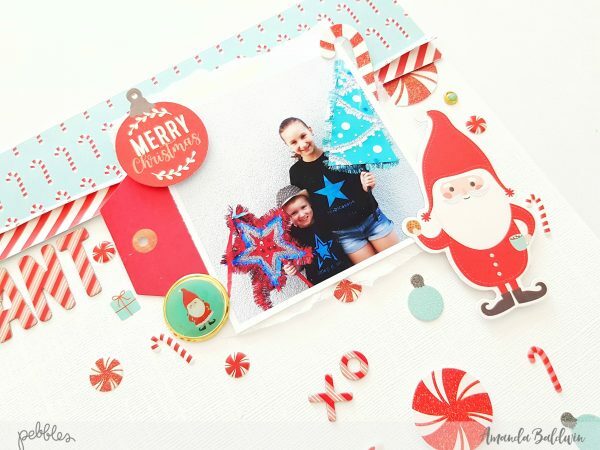 Here’s how to recreate this layout…. Start by adhering 5 tags from the Along The Way Tags pk to the right hand side of white 12″ cardstock, as shown above. 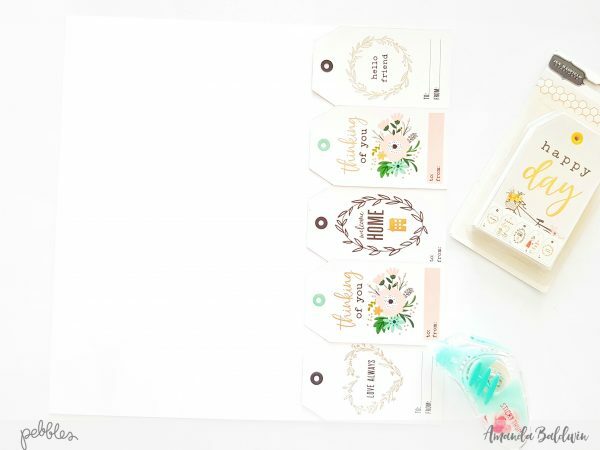 I adore this sweet pack of tags and just had to feature some of them in my layouts! Next, trim the reverse side of pattern paper Flutter (blue with polka dots print) to 3 1/4″ x 12″ and attach to the right hand side, being sure to cover the prints on the Tags. Then, trim Flutter to 2 3/4″ x 12″, mount with foam tape and attach from the right hand side also. 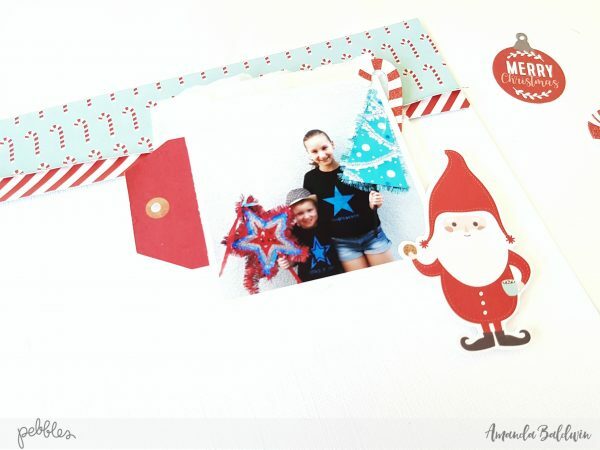 This creates a raised paper overlay onto the polka dots print, and looks so impressive! 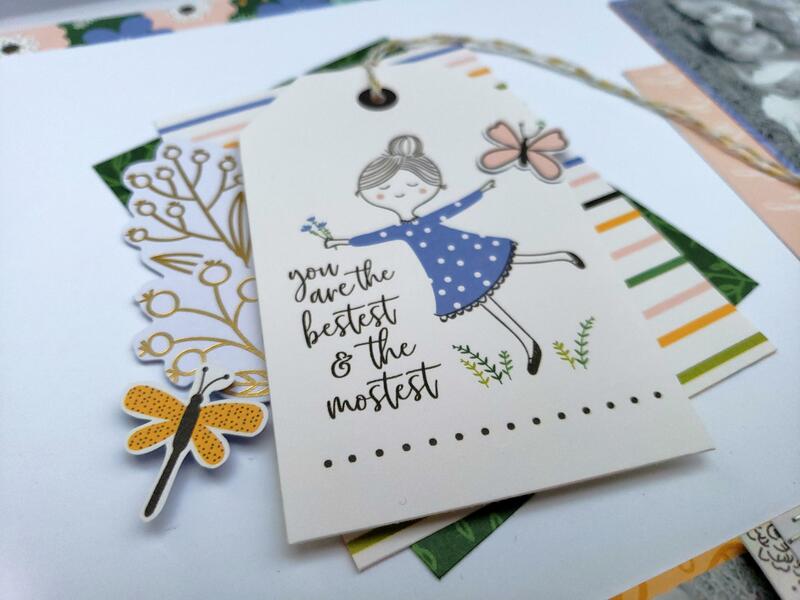 A great point of interest to the right side of the layout, and such a wonderful way to showcase that divine Flutter paper! Time to create the photo cluster…. Trim the reverse side of pattern paper Flutter to 4″ x 3″, and then trim the reverse side of Window Box to 4 1/2″ x 3 1/4″ and glue them together. Attach another of the Tags beneath the paper layers, as shown above. 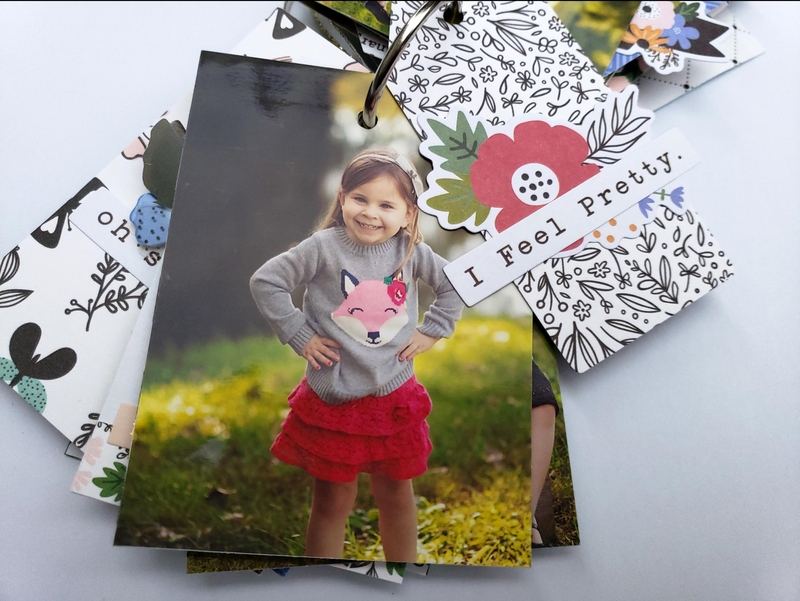 Glue your smaller size photo (mine was 2″ 2 1/2″ size) & embellish with an Ephemera sentiment. I applied foam dots to the Ephemera to make sure it was easy to see against the pattern papers. Align this photo cluster beside the center Tag on the layout, and tape into position. Tuck a couple of Ephemera leaves into the photo cluster. 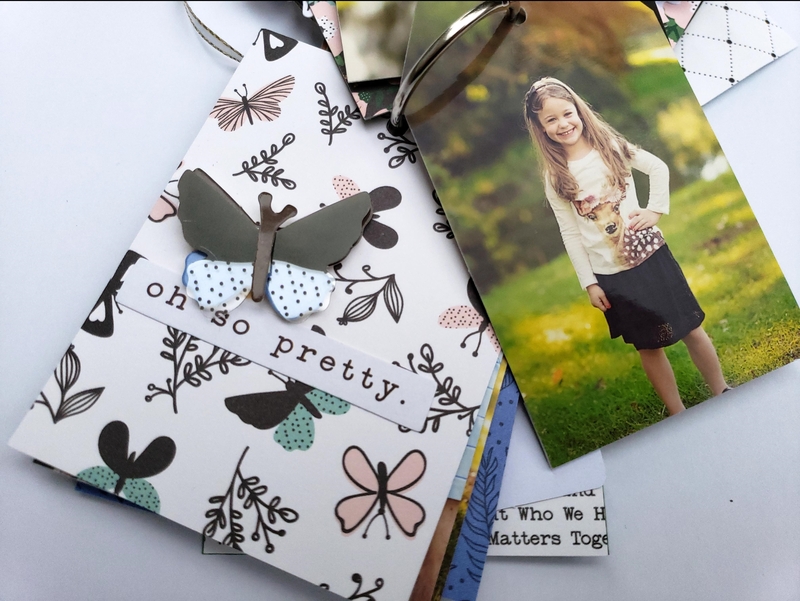 Embellish over the cluster with the pretty girl Ephemera. Again, I used foam dots to ensure this adornment was easily identified. Embellish with butterflies! 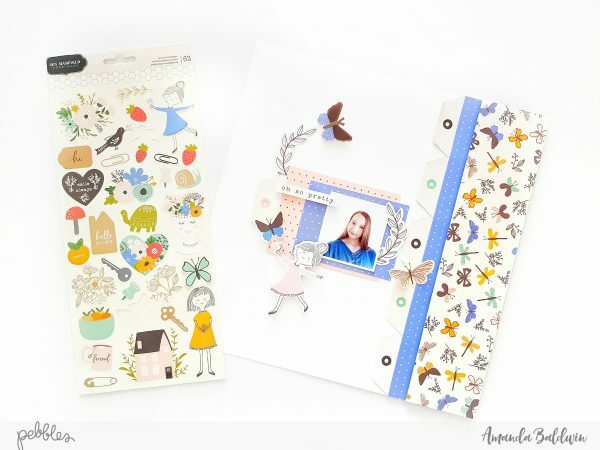 I used two of the 6″ x 12″ Cardstock Stickers butterflies, as well as that gorgeous Dimensional Sticker one! So pretty! 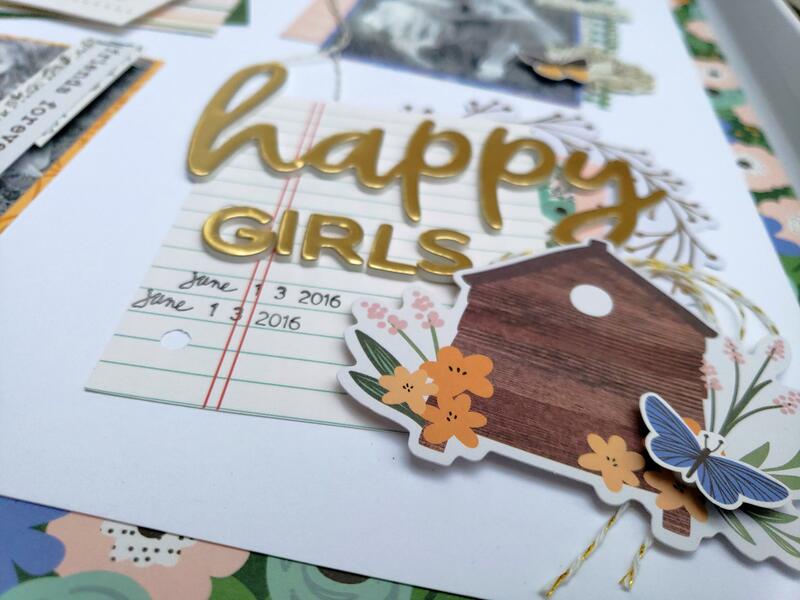 Add a title with the gold foil Katherine Thickers, and a few tiny spots of journaling with Phrase Stickers. 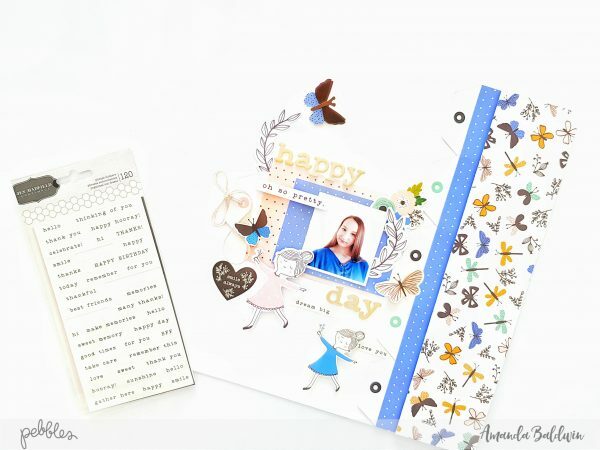 Tuck a floral sticker beneath the right hand corner of the photo, and add the extra pretty girl Cardstock Sticker. 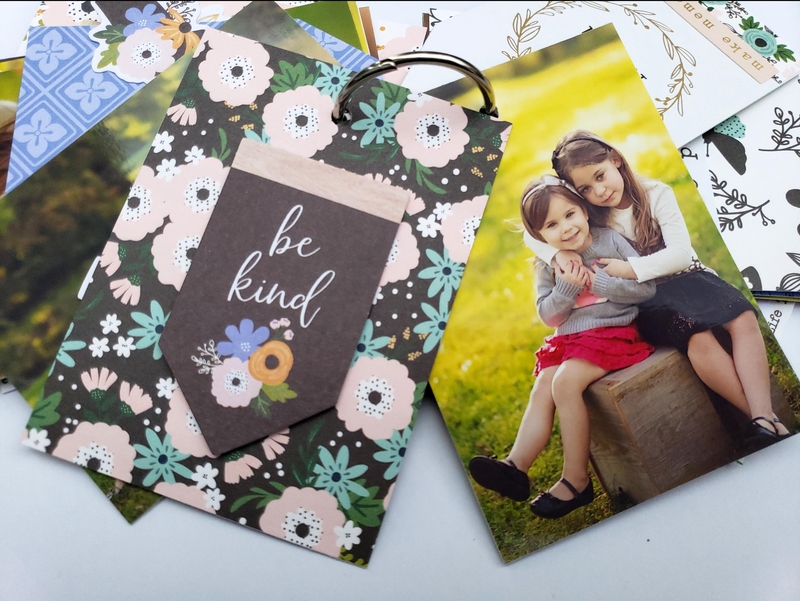 For finishing touches, add the smile always heart Cardstock Sticker, a baker’s twine bow to the photo cluster tag and a scattering of pastel pink sequins. 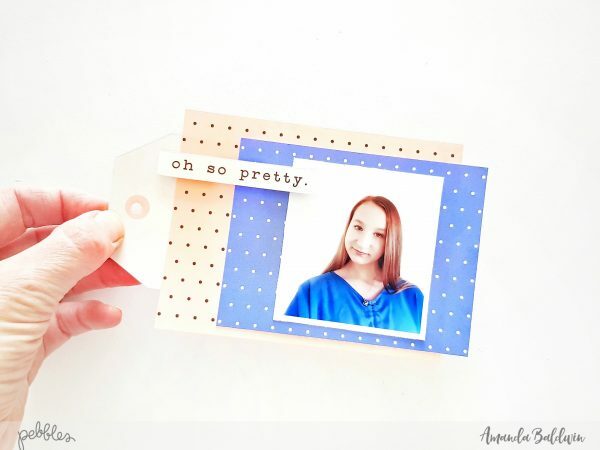 Such a lovely page to document the oh so pretty person in your life! 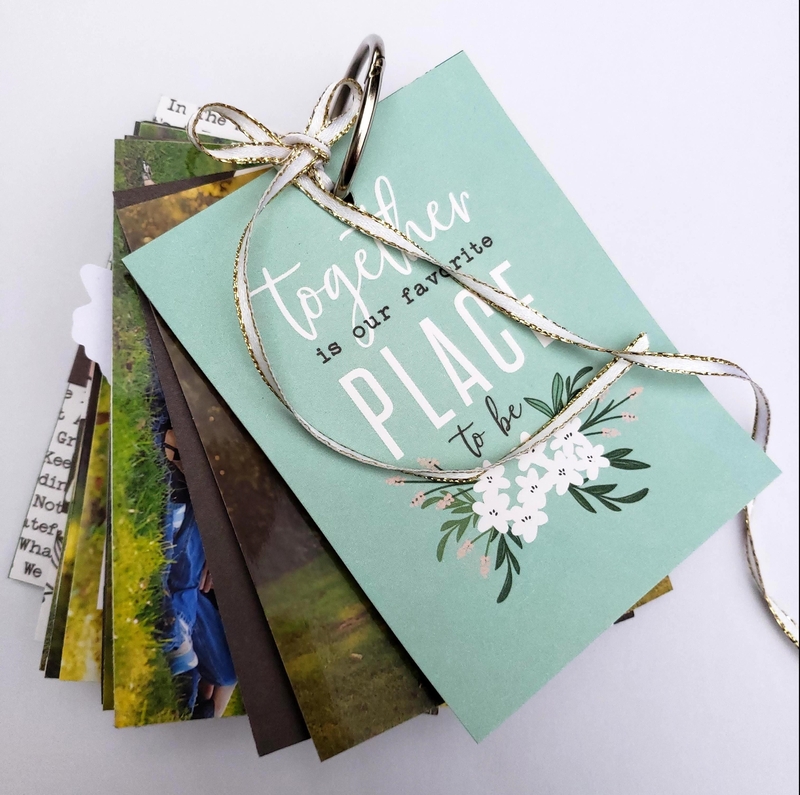 I hope I have inspired you to get creating with the beautiful Along The Way collection! Other Supplies: Baker’s twine, sequins.